Too many game developers settle in the current conventions of games. At GDC 2012, Nathan Vella made a beautiful distinction between games that are conventional in their experience (mechanics, visual style and stories we are familiar with) — and the ‘other’ games. He claimed it is often more difficult to sell a game that is more conventional, as you compete with 95 percent of the market, than it is to sell an unconventional game, competing with ‘only’ 5 percent. A truth I had been waiting for: I wanted to change the world with games never seen before. But let us come back to our senses now. Selling a car shaped unconventionally like a sphere on wheels won’t compete with other cars. And after inventing a teleportation device, we’ll probably want to give it a comfortable chair, buttons and possibly steeringwheel as well. For purely practical reasons, games need some form of familiarity. Something that enables the possibility of a fully immersive experience, some sort of safety of whatever can and will happen. It be ways of navigating through your game, the interaction with it, visual or auditive representations or the boundaries of when you are playing or not. Question yourself on what to aim for when you’d like to be inventive. It is okay to use points. It is okay to use achievements. It is okay to make a platformer, to use toon shading, to have zombies, to have cliche music or to have an unnecessarily difficult main menu. As long as it adds value to your teleportation device and doesn’t distract. 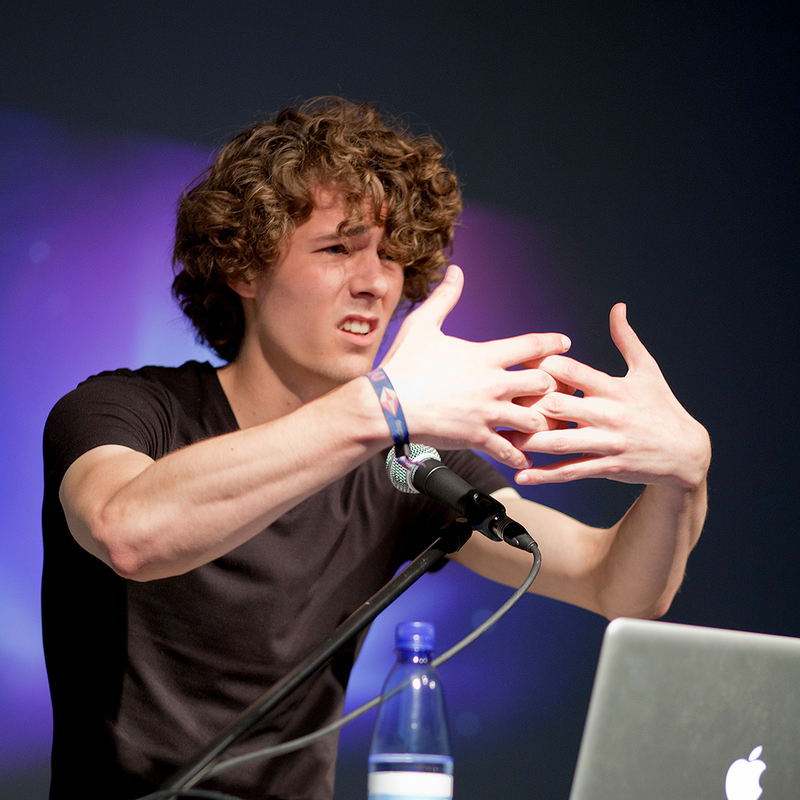 Adriaan de Jongh is co-founder of Game Oven. Their game Fingle was nominated for the 2012 IGF Awards (Nuovo Award) and received an honorable mention in the same competition (IGF 2012, Best Mobile Game).